Employability of the Indian graduates has been a subject of much deliberation and debate. It has been a subject which has been a cause for concern with many reams being written about it and many hours spent debating ways to make Indian graduates employable. But, a concrete solution has remained elusive. The onus is on the educational institutions to improve their employability. The University Grants Commission (UGC), the statutory body charged with coordination, determination, and maintenance of standards of university education, too has woken up to this fact. "In the digital era where technology has taken over every sphere of our lives, from digital classes to re-evaluations, technology is continuously reshaping and transforming the education system as a whole"
With each passing day, the degrees, even from reputed institutes have only been a value-add in one's CV, and a way to survive the rat race and sustain longer in this competitive job market. Given a thought, enhancing students' employability quotient should top the priority list of the universities and institutions in the country, and the top agenda. To ensure this, the University Grant Commission (UGC) came up with a new regulation where they mandated that all universities improve their students' employability by 2022.
ï¿½ Every higher education institution must ensure that at least 50 percent of those graduating have access to a job, self-employment or gets to pursue higher education and two-thirds of the students are engaged in 'socially-productive activities' while studying. ï¿½ Every institution to adopt at least five villages in the exchange for knowledge and for the overall social and economic betterment of the local communities. ï¿½ 75 percent of the students are to be compulsorily trained by the institute in professional skills like teamwork, communication, leadership and time management, besides being primed on the need for inculcating the spirit of innovation, entrepreneurship and critical thinking. ï¿½ The UGC will also call on institutes to continue to assess and handhold students even after they pass out. The institute must put each passing student through an exit test to assess his learning levels and the student must be tracked for progress after course completion as well, according to the mandate. ï¿½ The fifth objective calls for mandatory accreditation of every institute by 2022 with a minimum score of 2.5, from the National Assessment & Accreditation Council (NAAC). The non-accreditated institute will be mentored so that they can get accreditation by 2022.
ï¿½ The sixth key objective is to focus on the teacher with annual refresher courses and orientation modules on modern pedagogy and new developments in their domains. At no point should teacher vacancies exceed 10% of the sanctioned strength, the UGC will instruct institutes. ï¿½ Reforms of the examination system to test concepts shift to an outcome-based and regularly-revised curriculum framework, induction programs for students, modules on soft skills and ICT-based learning have been recommended as well. As the UGC has suggested, the institutions need to incorporate a learning-based curriculum that would help the students in self-assessment and enhancement. But the concern lies beneath this imposed regulation. As reports claim about 94 percent of the graduates are unemployable, the question is what went wrong with the course structure at these institutes that the UGC had to come up with such regulations that mandate universities to focus on their students' employability quotient? In the digital era where technology has taken over every sphere of our lives, from digital classes to re-evaluations, technology is continuously reshaping and transforming the education system as a whole. Students can self-enhance and assess themselves by using technology, provided the institutions give them access to the employability enhancement programs. 2. Creating a talent pool: These programs help keep a record of the talent pool from which the recruiter can hire candidates as per their requirements. Assess students periodically on their cognitive ability, communication skills, and personality and benchmark their ability against Industry-hiring standards, making them aware of their training needs and give a continual feedback to enhance their employability. Corporates can have access to this pre-assessed candidate pool and use advanced filters (on academic and essential skills needed by industry) to identify and connect with relevant job-ready communities. Better Match: Such programs help a student match their interests and enhance the same. They help a student zero-in on their aptitude and gradually work towards enhancing the same. Promoting inclusivity: These programs help corporates find the right candidate from Tier 2/Tier 3 institution who can be as competent as an employee from any Tier 1 institute. Better late than never, would be the right thing to be said about this effort of the UGC to ensure better employability of the students passing out of colleges today. While this move would improve employability, it would help fill thousands of open positions in companies not only in the country but across the world and India could become a Global Talent Supplier. 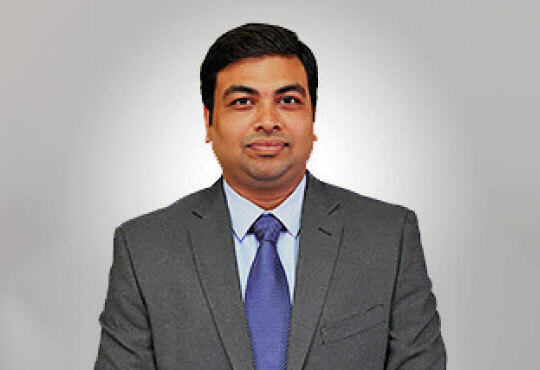 The Head of Certification Products at MeritTrac Services, Abhishek Ajmera has over 15 years of experience in Business Development, Sales Strategy & Product Operations. He is strongly passionate about using data to help measure every area of business and influence decision-making & actionable intelligence to deliver business value.